Many national parks were chosen for, and even named after, the country’s iconic natural sights, like sequoia trees, everglades and glaciers. Now, as the climate warms, many of these icons are beginning to disappear. As the National Park Service celebrates its centennial this year, it’s grappling with a monumental challenge: what will be left in the national parks 100 years from now? This dilemma is front-and-center at Joshua Tree National Park in the Southern California desert. Its namesake quirky trees are unmissable on the horizon, with twisted branches, shaggy bark and needle-like leaves. Were we all in a Dr. Seuss book, Barrows would be the Lorax, the character who speaks for the trees. 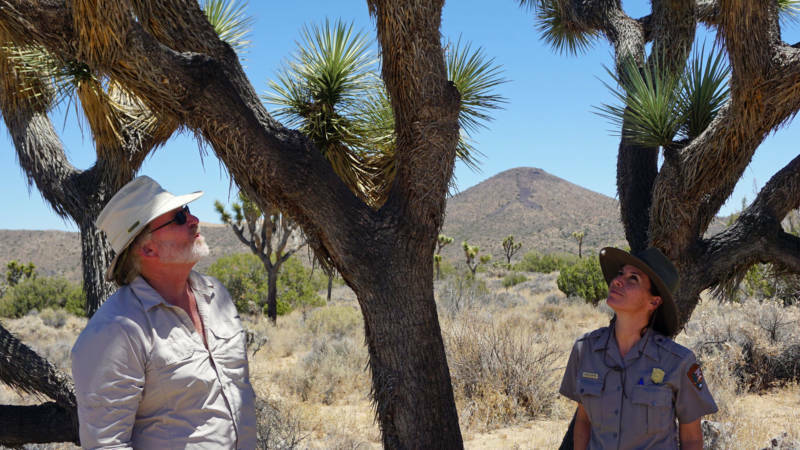 He's been trying to predict what will happen to Joshua trees in a warming climate. 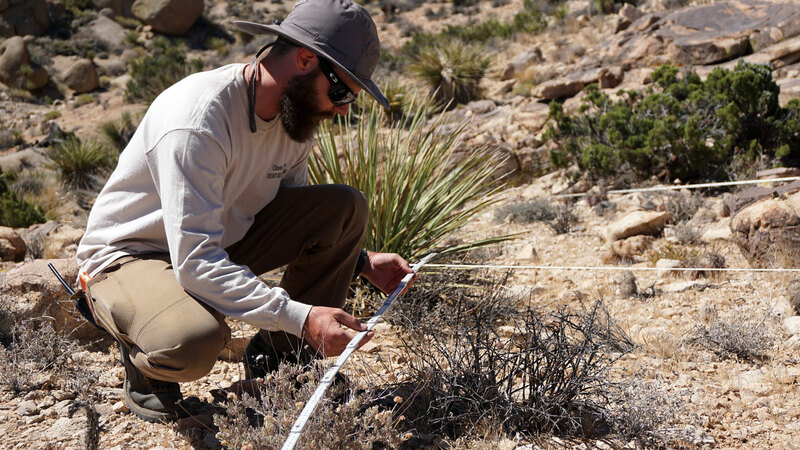 A field crew from UC Riverside and the National Park Service has marked several large rectangular plots on the ground, mapping the location and condition of every Joshua tree, as well as every shrub and cactus. It's part of an annual vegetation survey to document how things are changing. To the untrained eye, the Joshua trees in this valley look big and healthy. But that worries Barrows. “We want to see babies and what we’re not seeing are individual seedlings that are coming up,” he says. The youngest trees around us are 30-to-40 years old, which means seedlings aren’t surviving. The likely culprit, Barrows says, is climate change. Joshua trees already live on the edge, surviving 120-degree summer days and as little as one inch of rain per year. 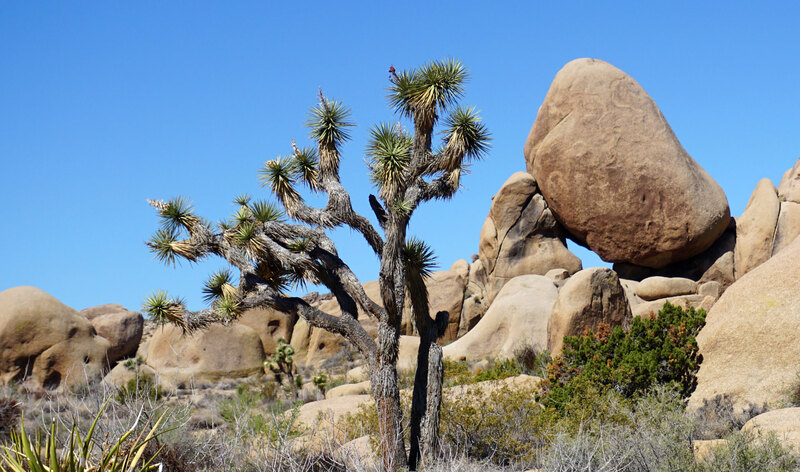 Adult Joshua trees can withstand punishing desert conditions by storing water in their trunks. Seedlings are much more vulnerable. 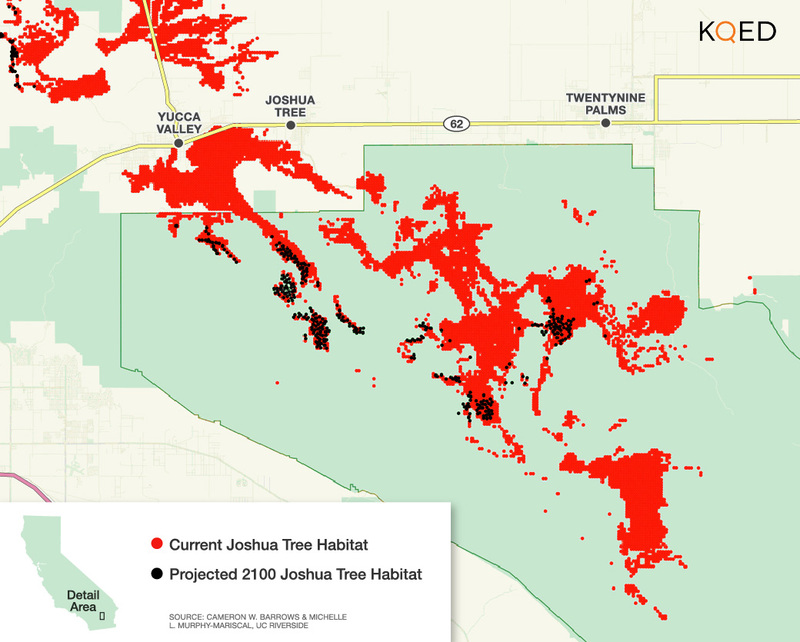 At the rate the planet is warming, Barrows expects Joshua tree habitat in the park to shrink by as much as 90 percent by the end of the century. The findings shook those who love the park’s stark landscape. The bleak joke is that without Joshua trees, the park would have to change its name. Barrows says there may be a way to avoid that. About half an hour away, Barrows is finding baby Joshua trees. “There’s a little one sprouting there,” Barrows says, pointing to a Joshua tree that’s knee-high. This site is at a higher elevation, where it’s a bit cooler and wetter. “There are these little niches in this landscape that should be able to sustain Joshua trees,” Barrows says. The little pockets, or “climate refugia” as Barrows called them, make up a small fraction of the habitat that’s here now, but they’re still within the national park boundary. “This site is actually looking pretty good,” says Kristen Lalumiere, a wildlife biologist with the park. “You walk to a site where there are some and your spirits lift,” she says. The park service is looking at how to manage the refuge areas to preserve the trees there. That will likely mean protecting them from wildfires. 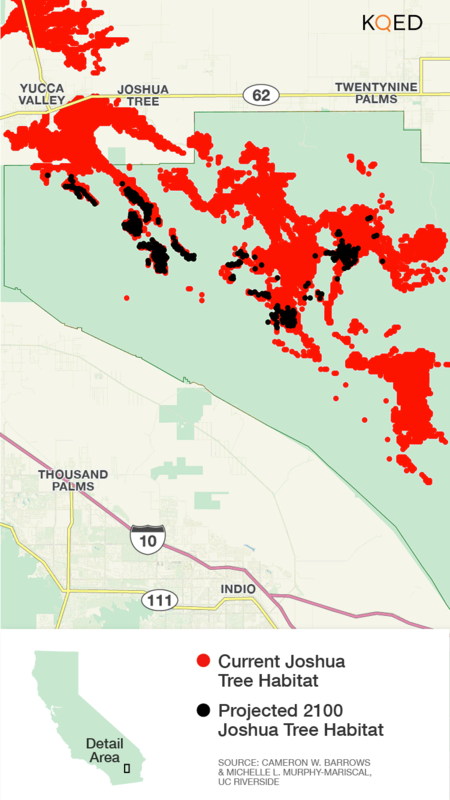 Joshua trees aren’t adapted to withstand fire and invasive grasses in the park have made it easier for fire to spread. As the climate warms, Joshua trees may be able to shift outside the park’s boundary, where some already exist. In February, President Obama established the Mojave Trails National Monument, protecting 1.6 million acres next to Joshua Tree. Two other national monuments, Sand to Snow and Castle Mountains, were also created nearby. "They connect this landscape to other protected landscapes,” says Barrows. "We’ve created an undistributed, continuous landscape where species can shift and move. The future is much brighter for biodiversity." Even so, park officials are considering public displays, explaining to visitors that the Joshua trees they see today might one day be gone. “We are already seeing the effects of climate change throughout the National Park system,” says Jon Jarvis, director of the National Park Service. There’s a long list of examples. Sea level rise threatens the everglades of Everglades National Park in Florida. Sequoia trees in Sequoia & Kings Canyon National Park face drought stress from a shrinking Sierra snowpack. At Glacier National Park in Montana, its glaciers could all grind to a halt by 2030, according to Park Service projections. “I think it is inevitable at this point,” he says. That creates a more complicated mission for the parks. Until now, the goal has been preserving parks and all the plants and animals in them. Now, maintaining that historic picture probably isn’t possible. 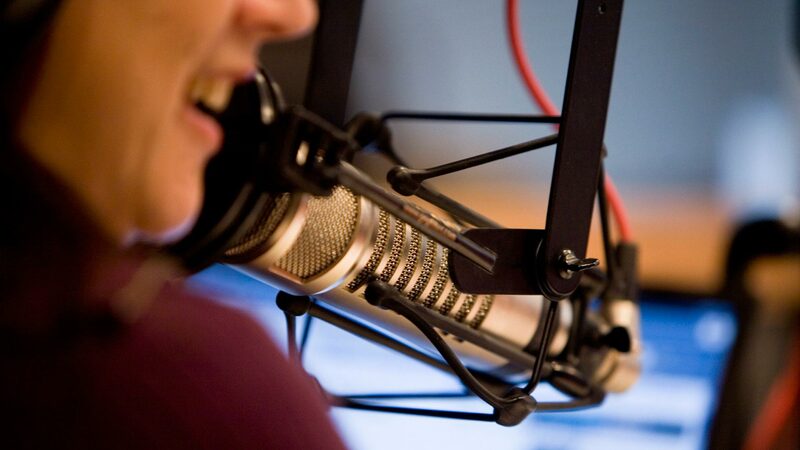 “Managing for continuous change? That’s harder to imagine, harder to visualize,” Jarvis says. Connecting the parks to open spaces will be key, so plants and animals have places to move to as the climate changes. The Park Service’s other job will be helping the public understand what’s happening. Jarvis hopes that 100 years from now, visitors will still see Joshua trees in the wild, instead of only in pictures on the park’s welcome sign.